I would like to create a custom field for freelancers which will show the average of their quality scores. How can I do that? Unfortunately, all information in custom fields can be entered only manually. Thus, it is not possible to create an automatically filled custom field. 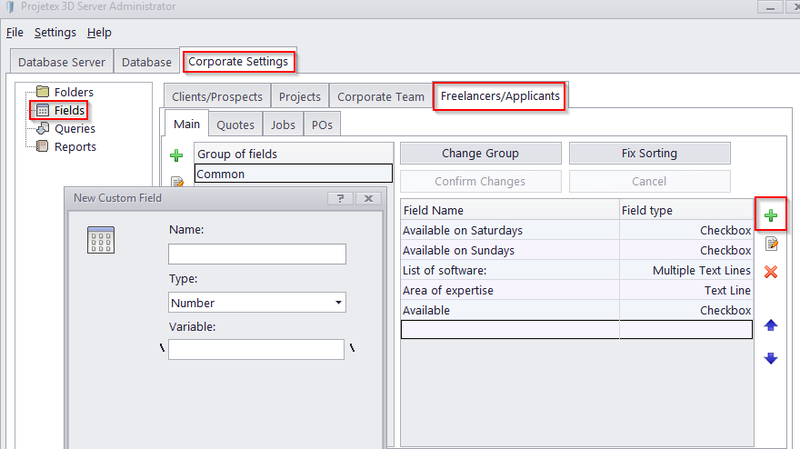 To create a regular custom field, please switch the database into Offilne mode, go to "Corporate Settings > Fields > Freelancers" in the Sytem Administrtor and click the New button on the right side of the dialog. Select the required field type and specify the name for this field. Click the OK button and then the "Confirm Changes" button. Then you will be able to manually enter the average quality for your freelancers at Freelancer > Main > Custom Fields.